The Medihoney® paste and wound dressings contain Active Leptospermum Honey from New Zealand, possess unique qualities that make them ideal for the management of chronic and acute wounds and burns. Clinical data suggests that Medihoney® dressings and wound paste are effective on hard-to-heal wounds and burns, in addition to helping to debride wounds and keeping wound beds clean of necrotic tissue. Medihoney paste is 100% Active Leptospermum Honey for dry to lightly exuding wounds, or for hard to dress areas. Medihoney® complements other advanced wound care modalities, such as use before, during, and after negative pressure applications, and use as a cover dressing for skin grafts and skin substitutes. You can order Medihoney® wound paste and wound dressings from The Parthenon Company online or by calling toll free at 1-800-453-8898. 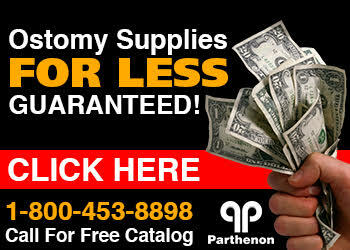 Parthenon is a nationwide distributor of ostomy supplies and wound care products discounted way off normal retail prices. Check us out next time you are shopping!